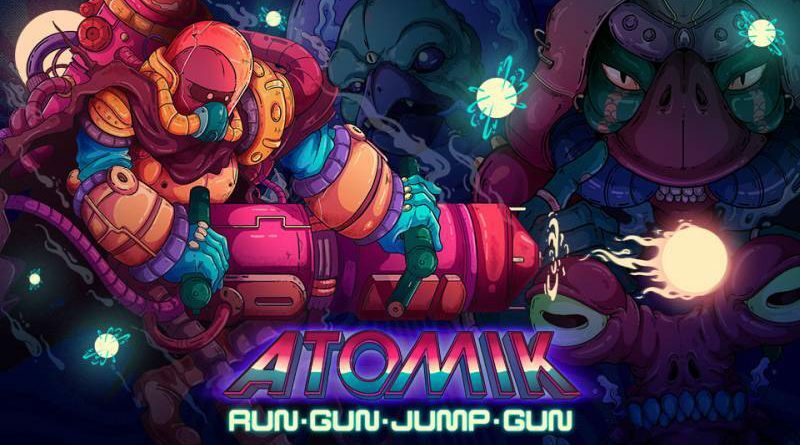 The Nintendo eShop reveals that ATOMIK: RunGunJumpGun is coming to Nintendo Switch in North America and Europe on January 25, 2018 for $7.99 / €7.99. ATOMIK: RunGunJumpGun is a tough as nails 2D action-platformer that puts a teeth-rattling, gravity-defying weapon in your hands. With a cast of crazed characters, simple but beautifully difficult gameplay, and a pulsing musical score, ATOMIK: RunGunJumpGun is a loud, trippy mess of twitchy platforming goodness. The two-button setup is disarmingly simple. One button shoots downwards, propelling you through the air. The other shoots forward, destroying anything that’s in your path. There is no stopping in this beautifully surreal world littered with deadly traps and soul-crushing obstacles around every corner. Players will have to constantly alternate between the two firing modes to maneuver through meticulously crafted levels where death is a promise not a possibility. There is only running, gunning, jumping, and gunning, in a mad dash to survive long enough to die again.